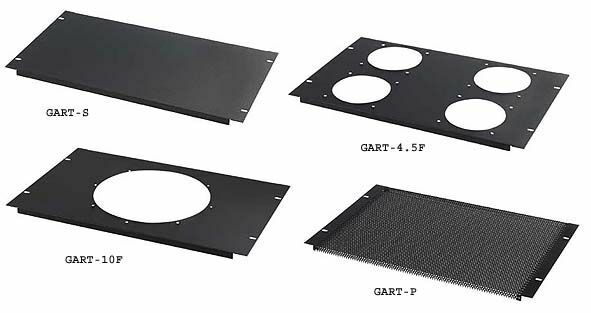 More on the Chief Raxxess Roof Inserts for GAR Racks GART below. The GART-10F, which mounts one 10" fan. The perforated GART-P, which has a 66% open area. A textured, black, powdercoat finish designed to complement GAR racks. Easy attachment to central rack with all necessary attachment hardware included.